The medieval core of Villefranche is located at the north-western tip (towards Nice) of the large deep-water bay known as the Rade de Villefranche: to the east of the bay, you will find the peninsula of Cap Ferrat, to the north, the spectacular hills of the Plateau Saint Michel and to the west, Mont Boron that separates the town from the city of Nice, that is only a few kilometres away but atmosphere-wise seems much further. Zooming in towards the village, the medieval centre with its old alleyways spreads around 50m up the hill between the coastline and the main Italy-Nice road (basse corniche): about 5 minutes walk north along the coast is the railway station, to the south is the huge Citadel that is hard to miss and on the other side of this is the 19th century Port Royal de la Darse. Now that you’ve got your bearings, here’s the quick walking tour: as I’ve tailored it for more independent minded cruise passengers who will then move on to visit the rest of the Riviera by train, the various steps have been ordered starting at the cruise terminal and ending at the railway station, in order of priority to get a good feel of the place. 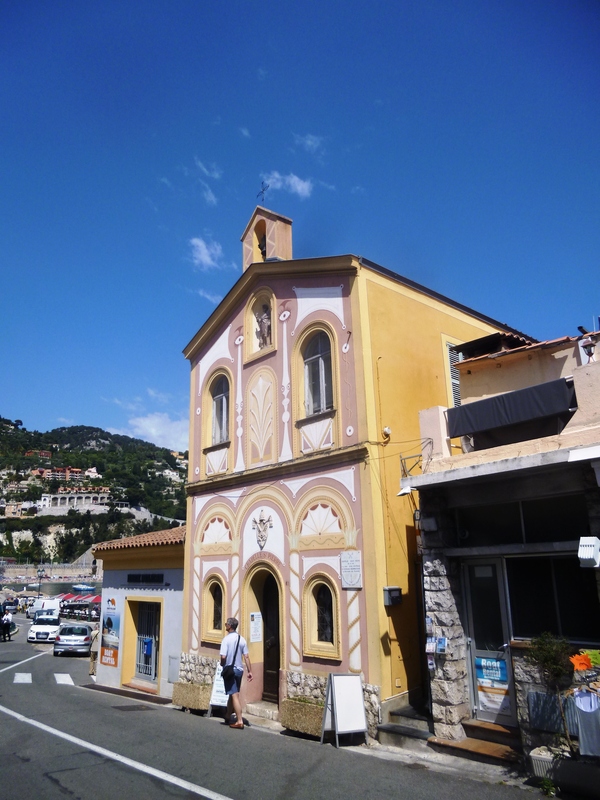 Naturally, if you are coming to visit by train or bus from Nice or elsewhere on the Riviera and planning a day trip, I would still advise a visit to Villefranche and to combine it with a trip to Beaulieu, Cap Ferrat or Eze Village to optimise your day, more details below in the “getting there” section. You can easily change the order as the main attractions are very close to each other – this isn’t necessarily the most logical order but it enables you to walk around the same area several times to soak in the atmosphere and to see the most interesting monuments first. If you need additional information or a map to prepare your walk, stop by the tourist information office which is located in the car park between the cruise terminal and the castle – not easy to find but very helpful and friendly, they also gave me plenty of assistance in preparing this article. 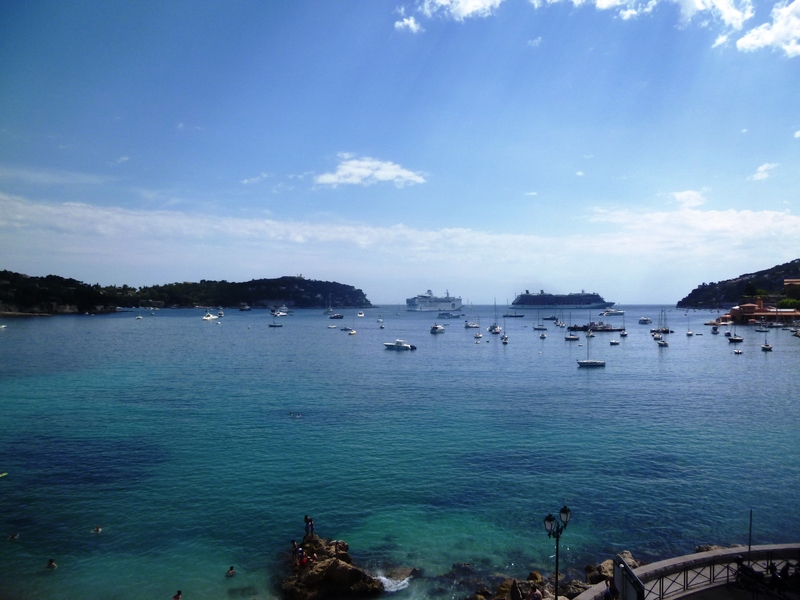 Oh and one final piece of advice before I kick off… Given that most other cruise passengers will be storming to the train station which is really small and cramped, the first few trains will be packed, especially as there are always several large cruise ships in Villefranche on a given day – so that’s an even better reason to follow my advice, spend an hour having a great time exploring the town and let the crowds disappear! 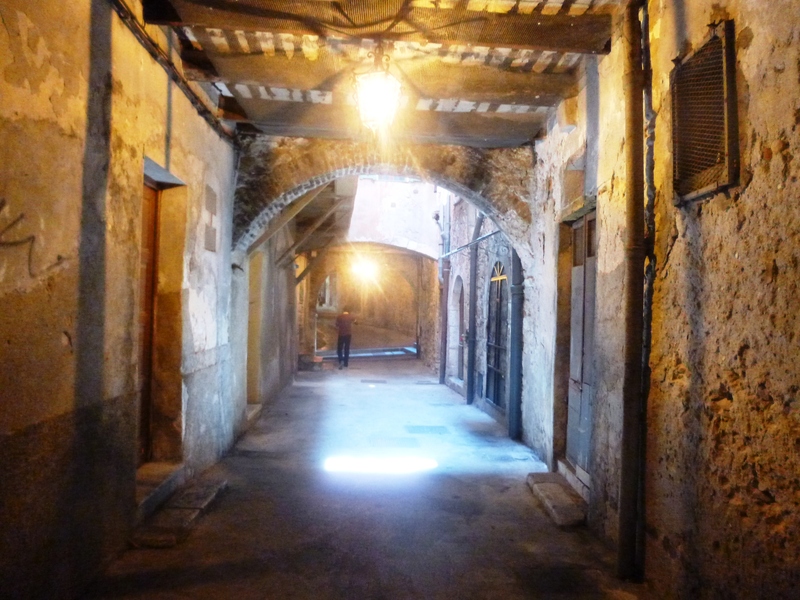 From the cruise terminal on the Port de la Santé, just head up and explore the interesting streets and alleyways of the old town, through its various layers up the relatively small hill – unlike Eze or some of the real perched villages, it isn’t particularly steep. I would suggest heading straight up the small flight of steps behind the Mère Germaine restaurant and wandering down the 13th century, 130 metre long rue Obscure (the dark street), which used to be part of the defensive walls of the town and is where the locals used to hide from invaders who were bombing the village from the sea – you can imagine how they did so when you walk through the tunnel-like passageway which doesn’t seem to have changed much since that time. At the end of the rue Obscure, walk up some steps up to the Place du Conseil, which now has a nice fountain with a lion’s head and is where the city leaders met up to discuss crucial (or not) political decisions. 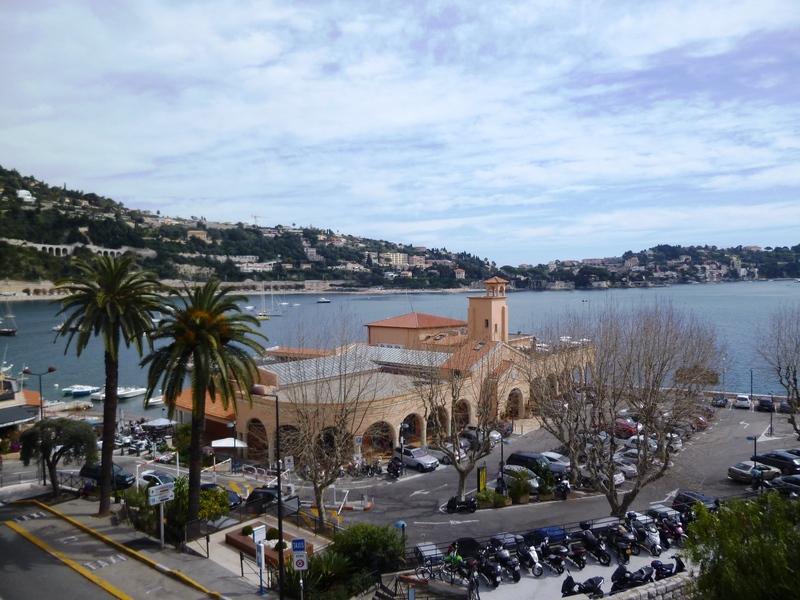 If you want, take a few quick steps towards the train station to enjoy a beautiful panoramic view of the bay of Villefranche from the viewpoint. 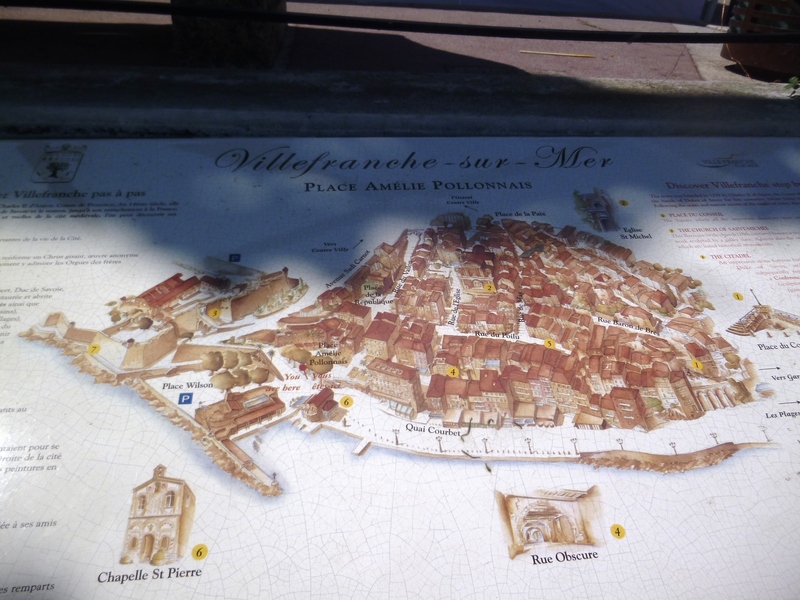 Then walk back south down rue du Poilu, the main street of the village with its ancient houses, shops and restaurants which are more competitively-priced than those on the main waterfront (see the eating section below). 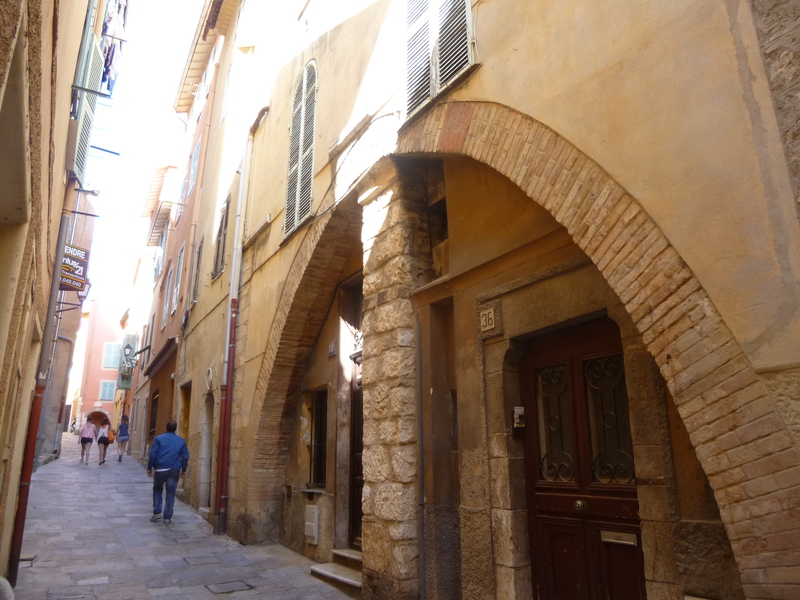 This street is named after the French soldiers of the 1st World War (known as the poilus), who marched down it from the train station to the military port. 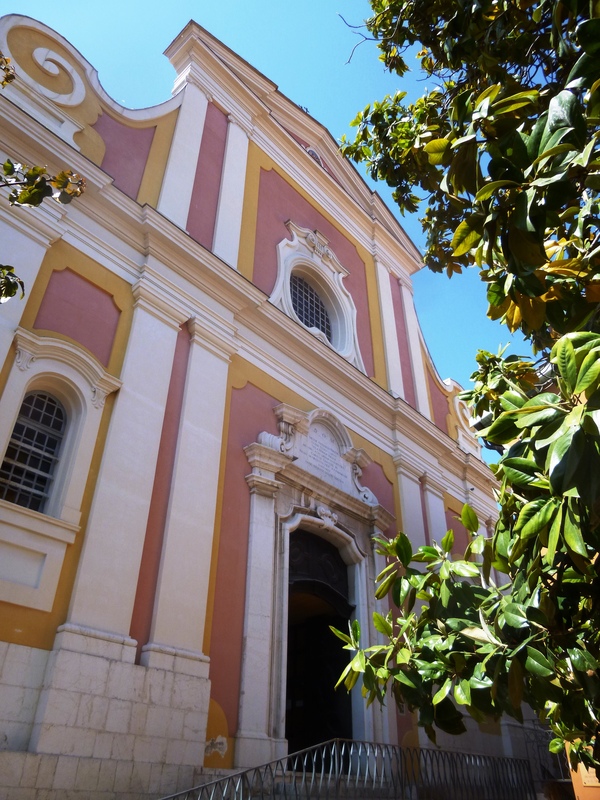 If you have some energy to walk up the flight of stairs, head up to the Eglise Saint Michel, a pleasant 18th century baroque church. 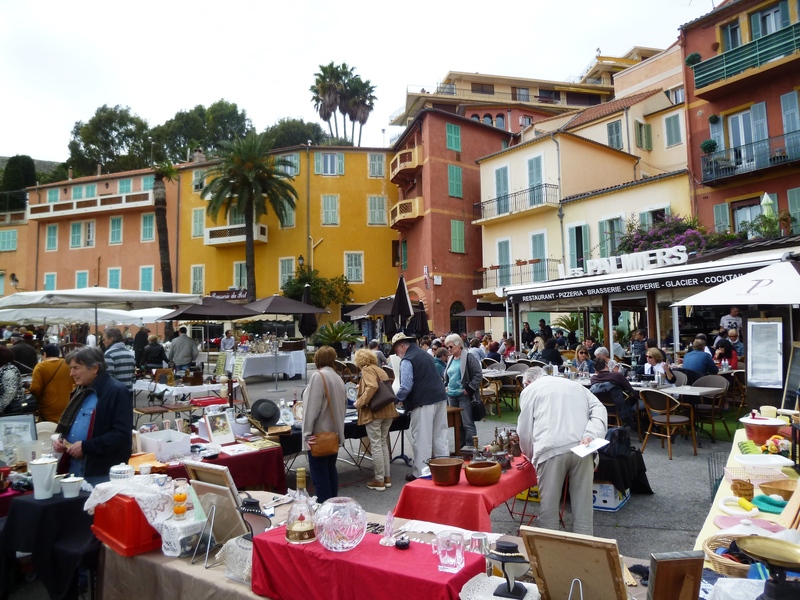 Then wander back down to the coastline and the cruise terminal past Place Amélie Pollonnais, which has a relatively interesting antiques market in the morning but especially has a nice view over the old town and is a great place to sit down, take a break and soak in the atmosphere. 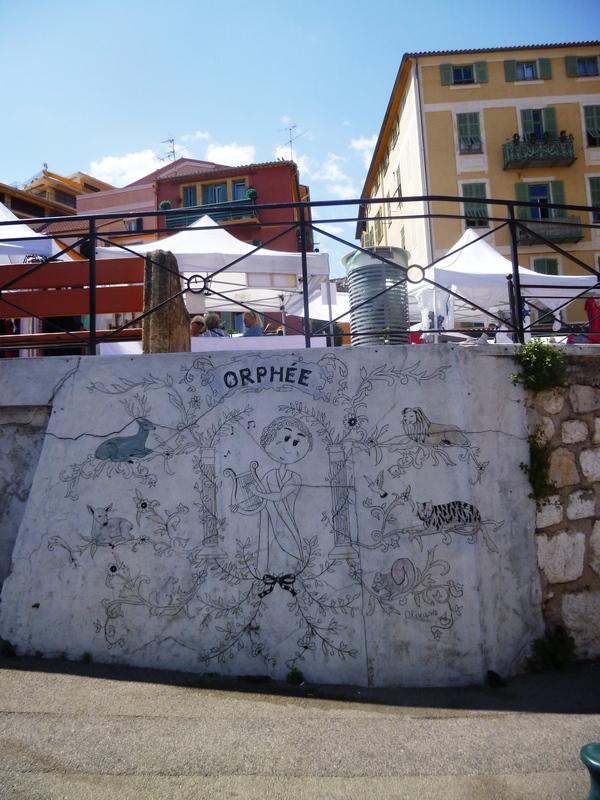 The multi-talented 20th century French artist Jean Cocteau, whose career I covered in my article about Menton, also spent quite some time in Villefranche where he wrote Orphée in the 1920s. He also discovered a small abandoned 14th century chapel by the Port de la Santé which was used by the local fishermen as a storage area and decided in 1957 to take care of the interior decoration before generously donating it to the village – hence the creation of a typically surreal Cocteau experience based around St Peter, the patron saint of fishermen. Although St Peter’s chapel presents almost no characteristic visual features from the outside with a typical baroque facade, I can strongly recommend paying the 3 euro entrance fee and visiting the very quaint interior, where there isn’t a single square centimetre that remains undecorated, with beautiful frescos representing both religious scenes related to fishing, the village of Villefranche itself and typical Cocteau themes like gypsy music and various esoteric emblems. On a practical note, opening times are very limited with a lunch break (10am to 12pm / 3pm to 7pm in the spring/summer and 10am to 12pm / 2pm to 6pm in autumn/winter, latest information on this link), so plan your visit accordingly. Also note that unfortunately, for some obscure reason, it’s forbidden to take pictures (even without a flash) inside the church so you’ll need to fork out on some pretty dusty postcards if you want to have a souvenir of your visit or else get them strongly embedded in your minds! After this, walk along the main harbour front for around 200m down the Quai de l’Amiral Courbet to simply absorb the pleasant atmosphere and views: look beyond the touristy restaurants and you will notice the local fishermen at work, the villagers just chatting in the street and the distinctive maritime and Provencal atmosphere that remains relatively unspoilt despite the hordes of tourists that pass through the village in summer. You will have noticed that most historical port cities on the French Riviera were well-equipped hundreds of years ago with strong defensive structures to resist the marauding hordes coming from the sea, Saracen or otherwise – think of St Tropez, Antibes and its Fort Carré, Nice Castle before it was flattened by Louis XIV of France and even the Old Town of Monaco – and Villefranche is no exception, with its 16th century Citadel that dominates the old town. Even today, the castle is a strong part of the local community, housing the town hall, some gardens and an open space with plenty of free museums. 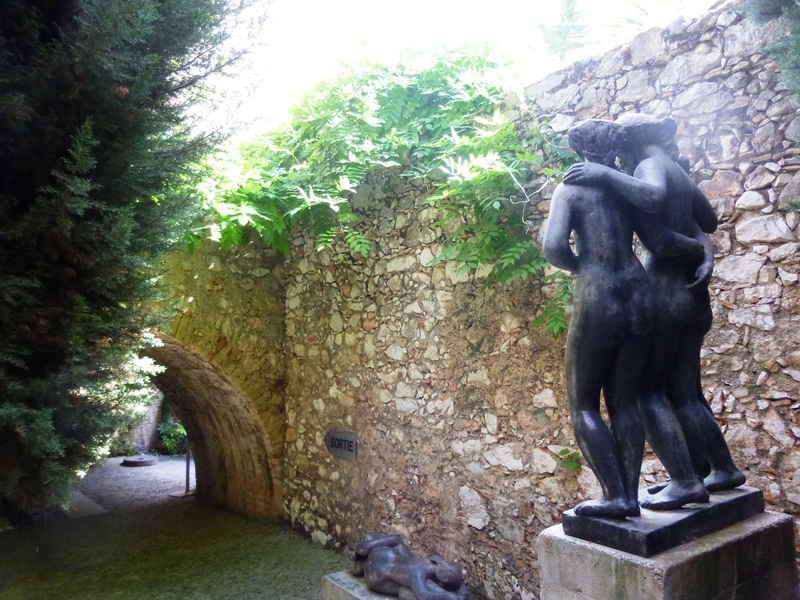 It’s worth a quick visit after seeing the Old Town to enjoy the views (the nicest of which is from the Théâtre de Verdure garden area) and if you are interested, to check out some of the weird and wonderful museums, which are free so there is no risk in taking a quick peak. 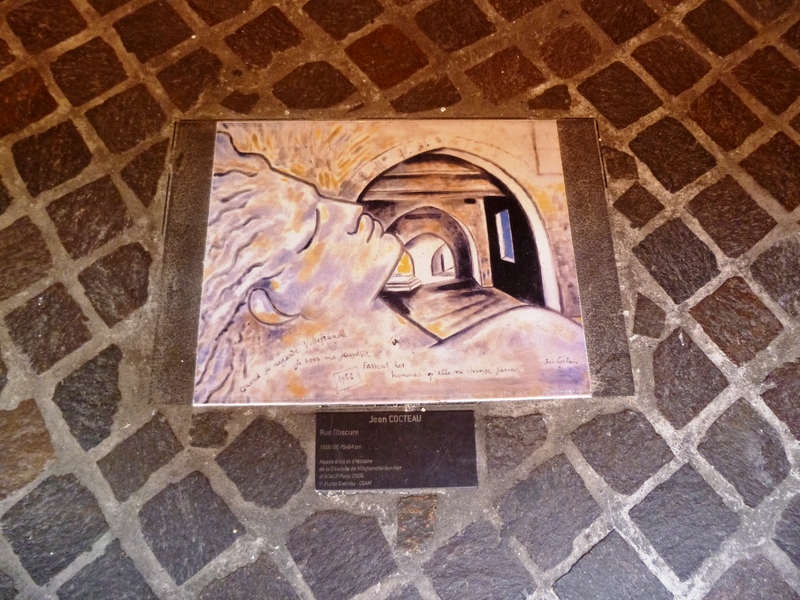 I personally visited the interesting albeit somewhat bizarre Volti Foundation and Museum, with the works of the eponymous artist. Volti, born as Voltigerno Antoniucci (1915-1989) was a French-Italian artist based in Villefranche who manifestly was into women – a lot! This is why his museum is full of Botero-style sculptures of ladies in all positions but mainly naked… It’s worth visiting, in addition to the artistic value if you are that way inclined, to see the inside of the castle walls and to see how this feat of ancient military engineering has been reconverted for other purposes. The other museums in the Citadel are the Musée Goetz-Boumeester, dedicated to a couple of local artists and the Collection Roux which is full of small ceramic figurines illustrating life in the Middle Ages and the Renaissance era. Obviously these three museums are only worth a visit if you are not in a hurry but if you are travelling with a tight schedule, you can give them a miss without regretting having missed a life-changing experience. 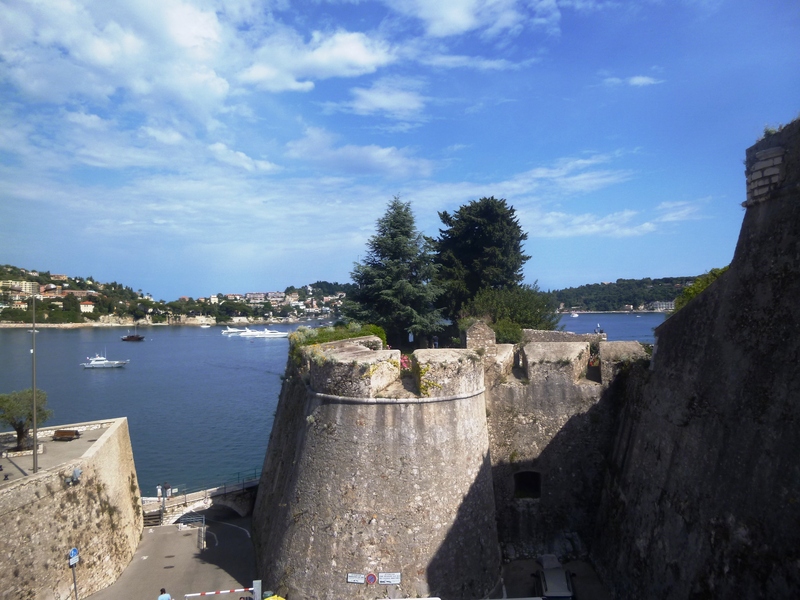 Walking around at a reasonable pace and skipping the museums in the Castle, you should have been able to polish off the essential sites of Villefranche in an hour. 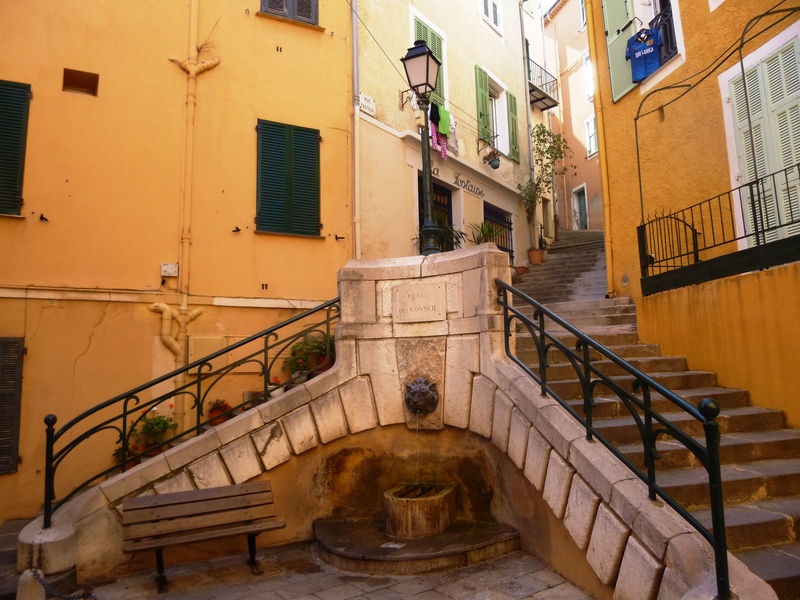 If you are satisfied, you can make your way back to the train station via either the waterfront along the beautiful Plage des Marinières beach then take the steps up or else through the pedestrian footpath of rue du Poilu after the Place du Conseil and go and explore Nice or Monaco. If you have time: east, west and uphill! If you carry on walking to the other side of the Citadel, you will reach another harbour full of private ships, the Port Royal de la Darse: most of the architecture here dates from the 16th and 17th centuries, after the conquest by the French. 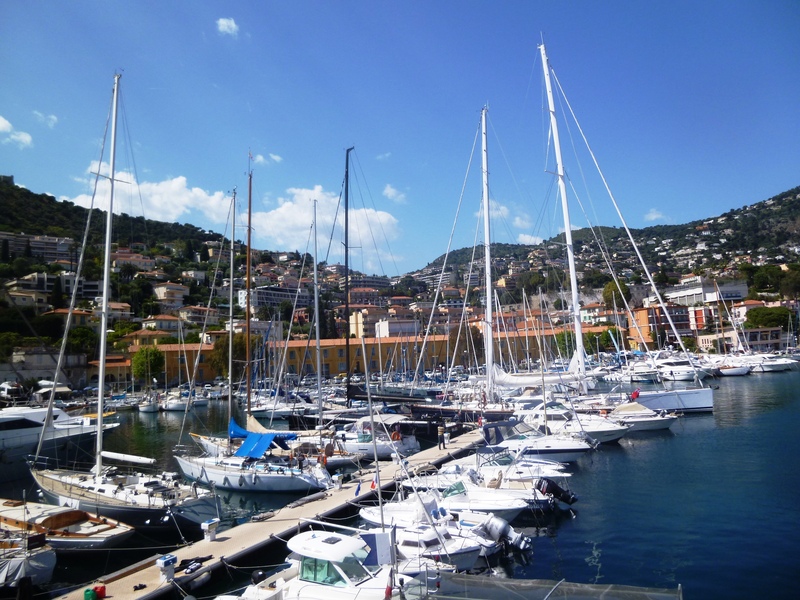 To be honest, there isn’t a huge amount to see here in terms of historical value apart from a functioning port and some sailors – however, just walk along the coastline and enjoy some stunning 360 degree views, especially from the main jetty over Cap Ferrat and the surrounding hills. Carry on walking along the coastline past some lovely secluded beaches and through a row of residential buildings called Le Rochambeau and you will reach the coastal footpath that heads to Nice (allow around 2 hours at a leisurely pace, a bit less if you tend to walk as quickly as I do). 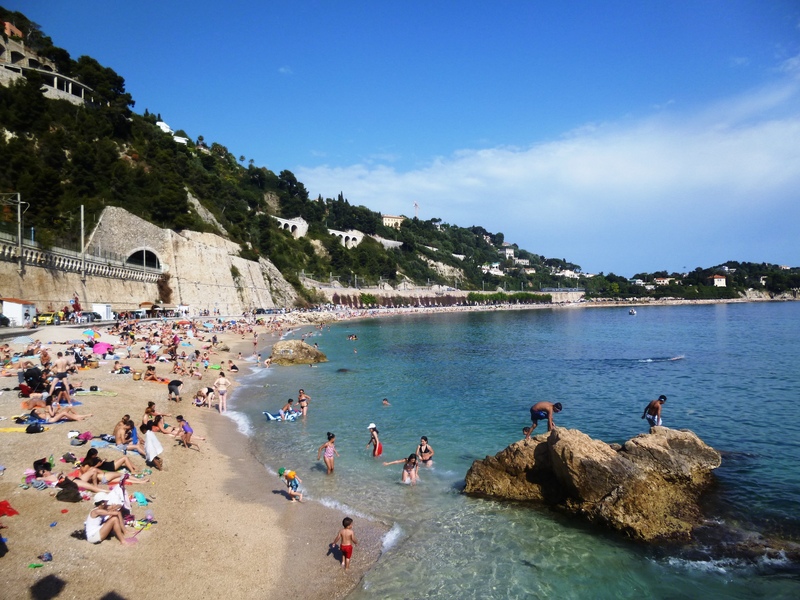 If you are heading to the train station and have a bit of extra time, check out the lovely Plage des Marinières, a wide expanse of pebble/slightly sandy beach with turquoise water and affording spectacular views of the old village, located directly below the railway station, which is a very popular venue for Nice residents to hang out with their families, especially during the summer months when the place gets a bit crowded. Not much to do there except to go swimming but it’s a great spot to experience a beautiful sunset looking towards Nice, especially from the far end of the beach. 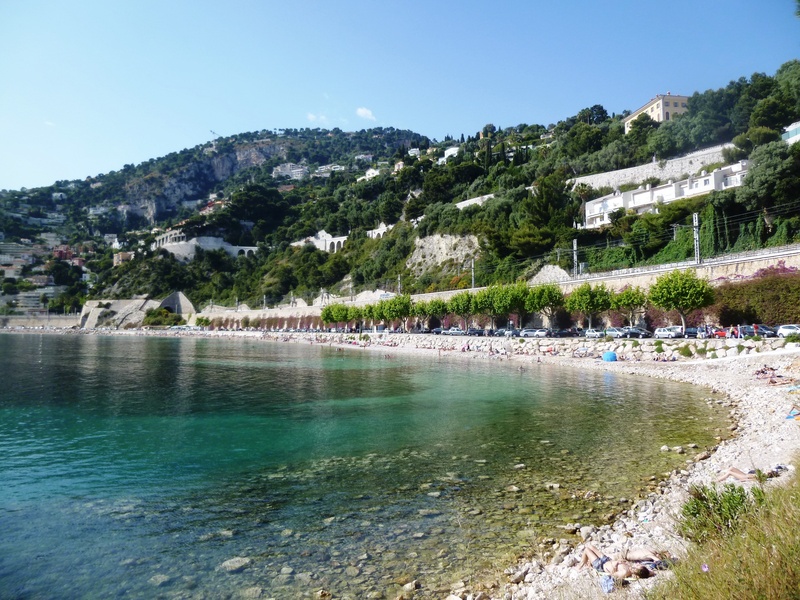 If you carry on down the footpath at the end of the beach and climb up some steps, it’s an easy 30 minute walk to Beaulieu sur Mer and the Kerylos villa or else to Cap Ferrat, allow about 2 hours to get to the tip of the peninsula and the spectacular lighthouse. The beautiful hills behind Villefranche are full of lovely hiking trails and dotted with some sumptuous villas, especially around the Corne d’Or area. 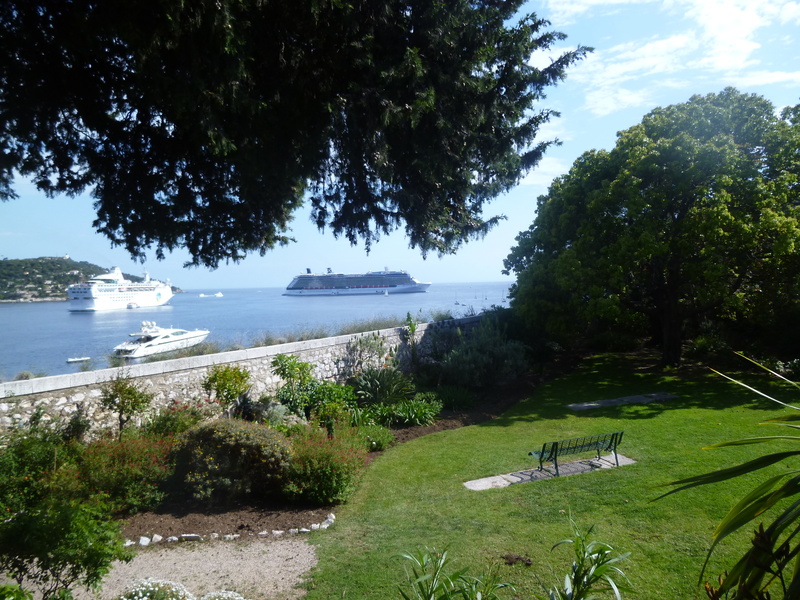 Those familiar with the 1957 film “An Affair to Remember” will recognise Villefranche as the cruise destination where Cary Grant takes Deborah Kerr out on an afternoon date to his aunt’s luxury villa on the hills overlooking the bay and Cap Ferrat (before it all goes pear-shaped under the Empire State Building!). If you are well-equipped with plenty of water and a decent pair of hiking boots (although trainers are also possible on this trail), follow the footpath all the way up to the top of the Mont Alban hill, on the western side of the Bay of Villefranche for some spectacular views from the top fortress over both Nice, Cap Ferrat the eastern part of the French Riviera over to Cap d’Ail. It’s not a very strenuous hike if you have a relatively good fitness level and you will definitely be rewarded for your efforts – full information on this hike and itinerary on the excellent Randoxygène website (unfortunately still only in French). By train: Villefranche sur Mer station is located above the Plage des Marinières beach, just a 5 minute walk from the old town and the cruise terminal and on the main line between Nice Ville (around 8 minutes / 2 stops), Monaco (around 19 minutes / 4 stops) and Ventimiglia (around 45 minutes / 8 stops). You can find the full timetables on this link, select timetable number 4 from the drop down menu. Avoid the train in the Nice-Monaco direction between 7.30am and 9am and in the Monaco-Nice direction between 4pm and 7pm as there’s a massive rush hour to and from Monaco, especially off season, and the trains will be packed. 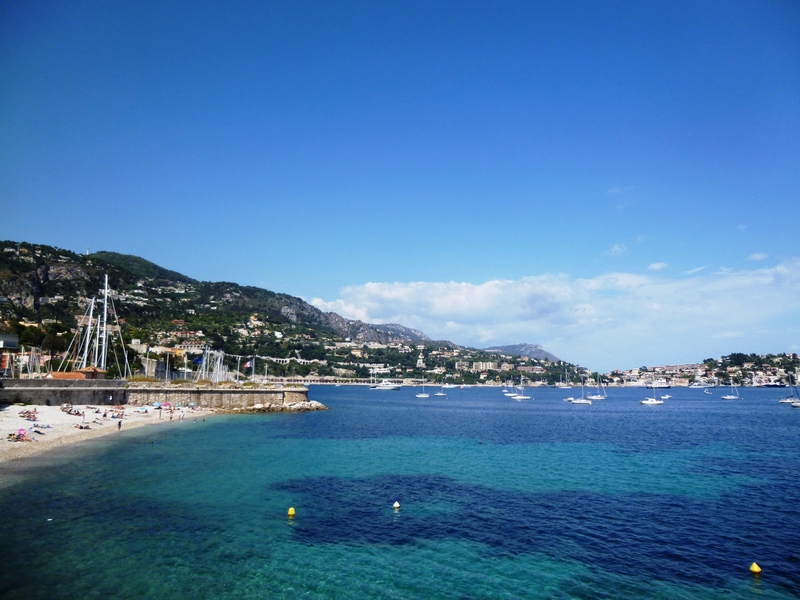 The view you can enjoy from the platform whilst waiting for the train in Villefranche! By bus: line 100 links Nice to Menton on a scenic 90-minute drive, timetables here , this line also stops in Villefranche and passes through Monaco. The bus stop in Villefranche is a bit more of a pain to get to than the train station, as you need to climb to the top of the old town and to the main road, the pathway is well signposted though. Same advice as the train, avoid the morning and evening rush hours to and from Monaco as the buses will be full and won’t stop for you. By car: there are several largish car parks if you decide to drive down, mainly by the castle (slightly cheaper) and on the Plage des Marinières, prices aren’t as excessive as in Nice so it’s not too bad an option unlike other places on the coast. There are also a couple of free spaces dotted around the centre but I wouldn’t bother wasting too much time looking for them, it’s a question of time value of money and if you’re reading this article, it means that you’re looking at optimising your journey! 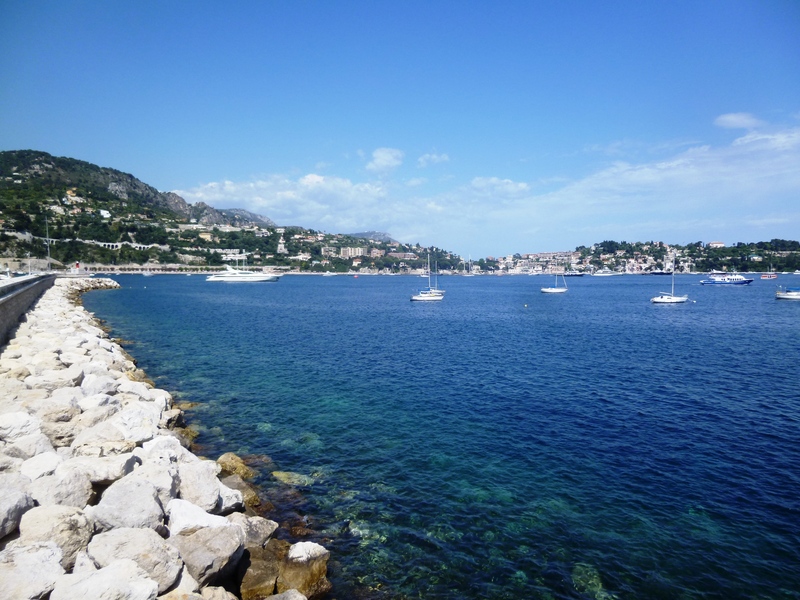 On foot: as I mentioned above, there are several very pleasant coastal footpaths linking Villefranche to Nice, Beaulieu and Cap Ferrat. Just arm yourself with some motivation/energy and you will be well-rewarded! 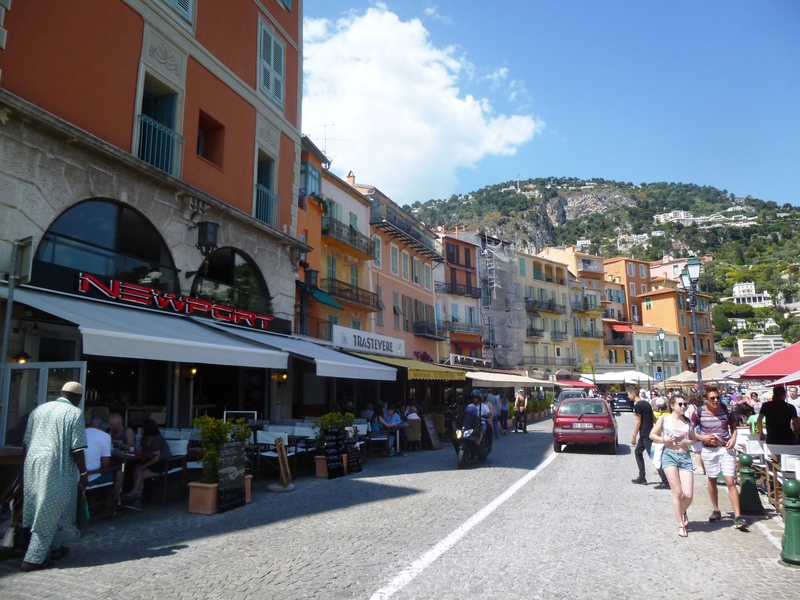 Villefranche isn’t really well-known as a gastronomic capital due to its location between Nice and Monaco and the presence of large groups of tourists that lead some restaurant owners to choose the easy option of overpriced food of mediocre, frozen quality. 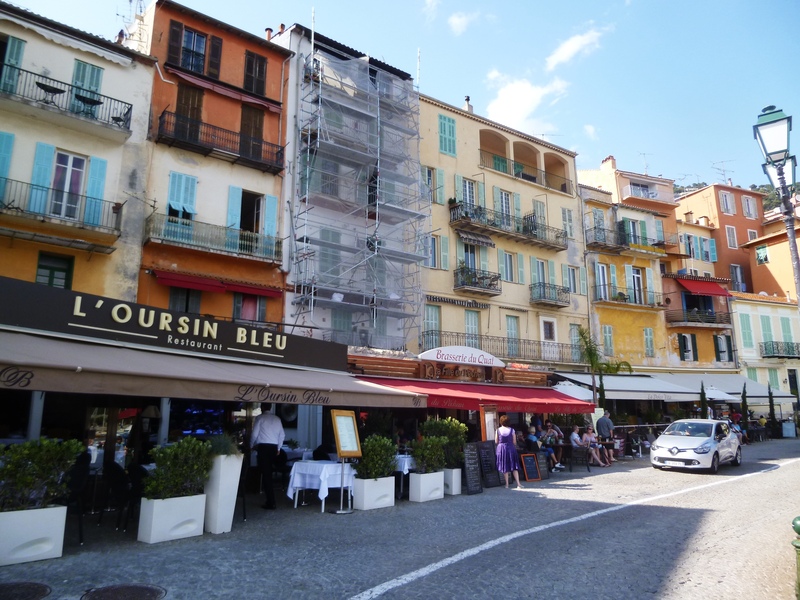 However, standards both of food and of service have increased considerably over the last few years and you can now find some pretty decent places especially if you leave the waterfront and head into the small pedestrian streets of the old town, in or around rue du Poilu. 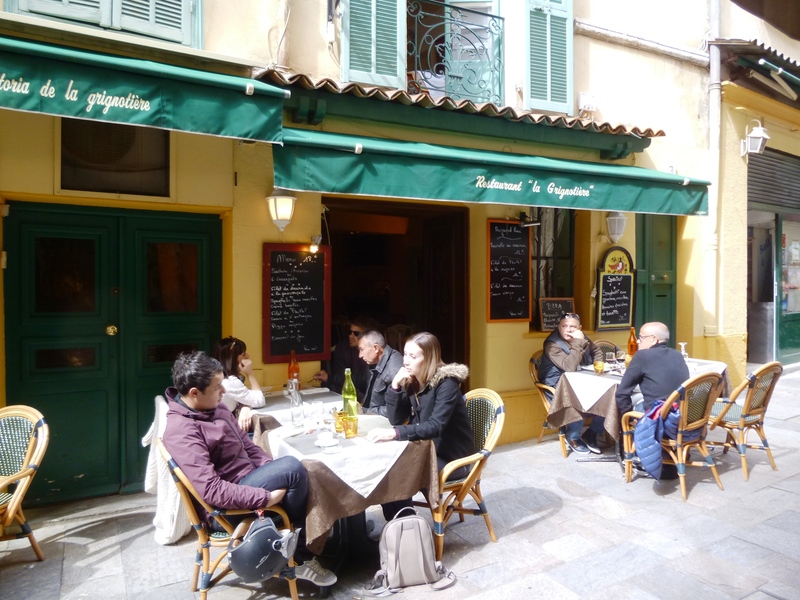 La Grignotière: this small unassuming place is located at the end of the rue du Poilu pedestrian street, not far from the Cocteau chapel and Place Amélie Pollonnais. Prices are accessible (18€ for a 3-course menu) and there is a good choice of pizzas and home-cooked traditional French dishes with a Mediterranean twist, service was also friendly during my off-season visit in April. It is also well-recommended on Tripadvisor. La Belle Etoile: this small restaurant located in the old town close to the church is the sort of place I love on the Riviera, with creative cuisine by a young chef at reasonable prices, with an appealing 29€ menu also available in the evening. 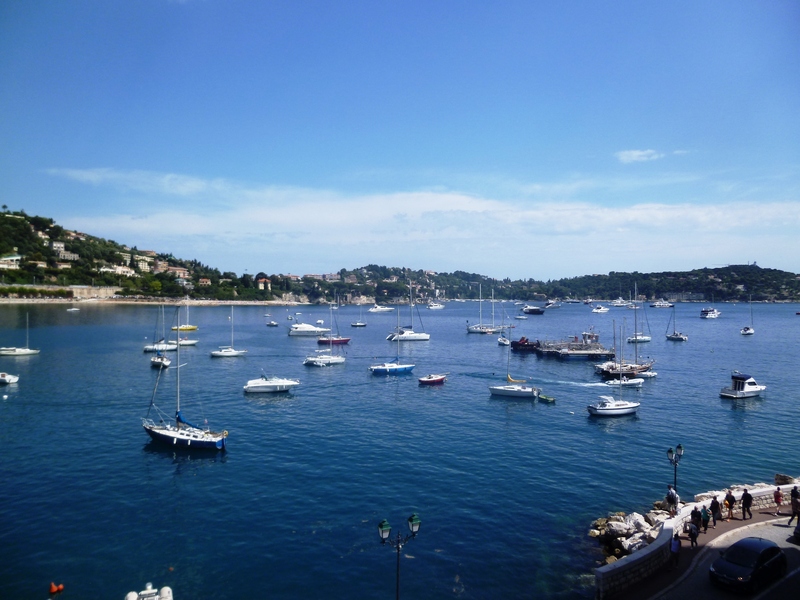 La Mère Germaine has been a landmark on the Villefranche waterfront since 1938 so if you want to splash out with some fine dining and are prepared to pay the price, this is the place to go! Old style service, traditional cuisine, fresh fish and traditional soufflés are all on offer, along with lovely views from the terrace over the Bay of Villefranche. 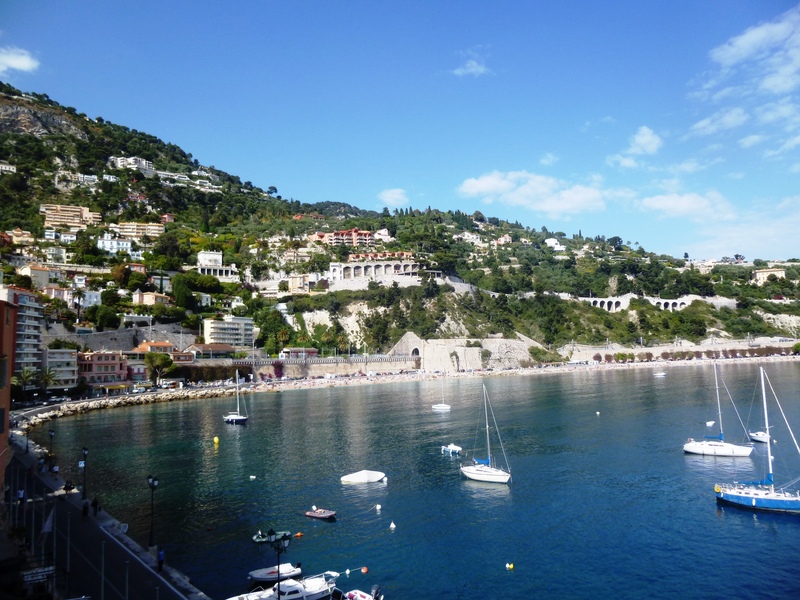 So I hope this will have convinced you, whether you are cruise visitors on the Riviera or here for a week or so, to take an hour or two to visit this lovely part of the coastline and to get a small village feel that you perhaps won’t find in the metropolis of Nice or the city-state that is Monaco! For any comments or further requests for advice, please feel free to give me your feedback in the form below, enjoy your stay on the Riviera and make sure you don’t miss your ship when it leaves!